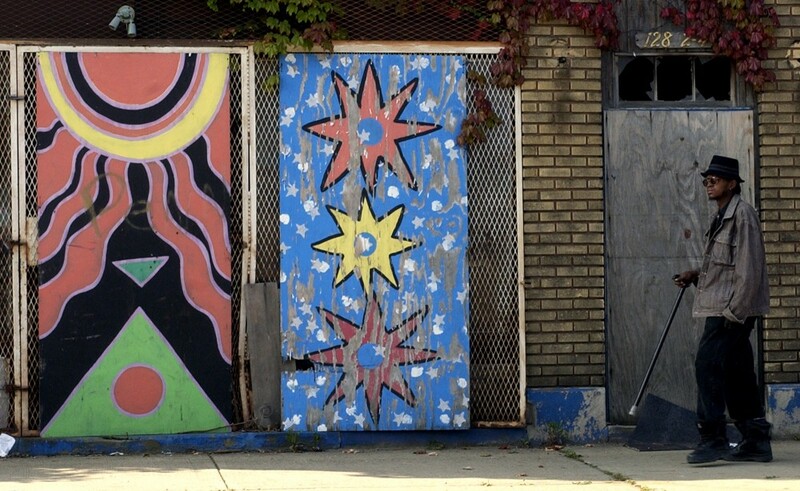 Since 2000, Cleveland has always made the list of the top five big cities with high poverty. While the national poverty rate stood at 15.5 percent in 2015, the rate in Cleveland was 39.2 percent, ranking second only behind Detroit among cities with populations of 300,000 or more. Cleveland also ranks high in child poverty (54 percent), in the top 10 cities with populations living in concentrated poverty (28 percent), and number five in rankings of racial segregation. These statistics raise questions you may not hear discussed this week during the Republican National Convention. Why is Cleveland so poor? What are the effects of these conditions on the city and its residents? And what is being done about it? The answer to that first question is not terribly different from the experience of other “legacy” cities, the term for older, industrial areas that have experienced population loss, job loss, and loss of steel or other manufacturing employers. Cleveland was the U.S.’s sixth largest city in 1940, but since 1970, when it was still in the top 10, the city has lost 48 percent of its resident population. In the 2010 census, Cleveland barely remained among the top 50 largest U.S. cities, at number 48. Only Detroit had a larger population loss during this period (55 percent), yet Detroit still remained among the 20 largest cities in 2010 (as number 18). Cleveland’s population loss has an important backstory: the population of Cuyahoga County, in which Cleveland is located, has remained largely flat since about 1950. It is the city’s metropolitan core that has lost people, while the smaller cities and suburbs outside Cleveland have gained. The city lost its tax base, saw disinvestment in properties and neighborhoods, and a loss in property values (and resulting revenues for public schools). So, many Cleveland families left the city for more opportunity and better neighborhoods in the city suburbs. Today, Cleveland neighborhoods are beset by poverty. Among Cleveland’s 34 neighborhoods, 15 have poverty rates in excess of 40 percent—the standard for concentrated poverty—and another eight have poverty rates between 30 and 40 percent. Only two neighborhoods have poverty rates below 20 percent. Among Cleveland’s 58 suburbs, the picture is different; 53 have poverty rates below 20 percent. Among Cleveland’s 34 neighborhoods, 15 have poverty rates in excess of 40 percent—the standard for concentrated poverty—and another eight have poverty rates between 30 and 40 percent. Despite these circumstances, greater Cleveland identifies itself with its city center. Downtown Cleveland, with its sports venues for the Cavs, Browns, and Indians, the Rock and Roll Hall of Fame, and Public Square, are sources of great civic pride. There is a broad agreement that for the region to thrive, the city of Cleveland must be strong and vibrant. Yet, the challenge remains about how to accomplish this when many of the families that make the city their home remain in poverty. Social researchers who study poverty, like me, often find that poverty is related to nearly everything we measure. It’s both an effect and a cause. For example, poverty is highly correlated with educational status, single-headed family structures, and neighborhood of residence. Individuals who are poor feel a variety of direct effects—lack of food, health concerns, poor housing, toxic stress, and for children, exposure to lead, maltreatment, and infant mortality. Additionally, poor families who live in areas of concentrated poverty lack access to good education, work opportunities, many social supports, and healthy food options. These families are also exposed to more crime. We see all of this in Cleveland. Concentrated neighborhood poverty further restricts the ability of individuals to overcome their own poverty. In a recent study of Cleveland kindergarteners, our research team found that children who continuously resided in such neighborhoods from birth to kindergarten were nearly twice as likely to have elevated blood lead levels as compared to their peers. In fact, 40 percent of these kindergarteners had a confirmed elevated blood lead level prior to entering kindergarten, and these children experience significant literacy delays and are far less likely to be proficient in reading by third grade. In a city where poverty remains a persistent problem, it’s easy to conclude that current efforts are ineffective, but the reality is much more complicated. In Cleveland, you can find many efforts to reduce the underlying causes of poverty and address the needs of families living with its consequences. And the response here has been as multi-faceted as poverty itself, including partnerships between city and county governments, the philanthropic community, a diverse nonprofit sector, and representatives of the business community. Cleveland and Cuyahoga County have built a strong safety net, with food assistance, subsidized childcare, health care coverage, and housing supports. We also invest in high-quality early learning (through Cuyahoga County’s Office of Early Childhood/Invest in Children and the Pre4CLE initiative in the city) as an avenue to improve outcomes for young children as they grow. And the Cleveland schools have a major initiative underway—The Cleveland Plan—to improve the way public education prepares our children for later success. These efforts are showing good progress in reaching and assisting families in need. For example, children served with high-quality preschool show 33 percent greater odds of passing reading proficiency tests in third grade. One promising strategy involves economic development that connects the city’s core and periphery. The Fund for Our Economic Future is a philanthropy-driven collaboration started in 2004 that has put more than $100 million into preparing people for jobs, creating jobs, and providing access to jobs around Cleveland. For example, the Fund is making sure that the Opportunity Corridor Project, which will connect a major east-west freeway to the University Circle region of the city, will do much more than shorten drive times for suburban commuters. Residents of the neighborhoods adjacent to the corridor will have economic opportunities as a result of the project. As a resident of this community, I see the legacy of Cleveland’s once-remarkable population and economic vitality on a daily basis—the grand architecture, the public parks and spaces, the world-class cultural and health care institutions. The decades of population out-migration and other economic challenges have taken their toll. Despite this, recent years have seen tremendous progress in the right direction, such as coordinated public and private investment and a marked growth in the population of young professionals living in the city. Such developments contribute to a civic spirit that has endured decades of decline. Rob Fischer, Ph.D., is research professor at the Jack, Joseph and Morton Mandel School of Applied Social Sciences, Case Western Reserve University, and co-director of the Center on Urban Poverty & Community Development. Primary Editor: Marissa Roper. Secondary Editor: Lisa Margonelli. *Photo by Tony Dejak/Associated Press.